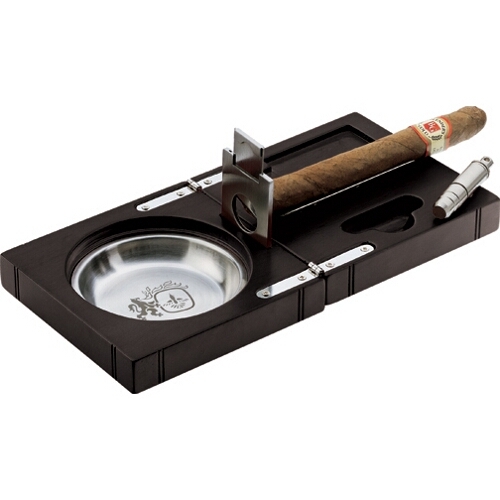 This Camelot cigar ashtray closes up to keep your smoking discreet. Features a removable ashtray for easy cleaning, spring action punch cutter with removable cap, and guillotine cutter. The beautiful cherry wood finish will accent any decor tastefully. Makes a great gift for the budding cigar aficionado in your life.